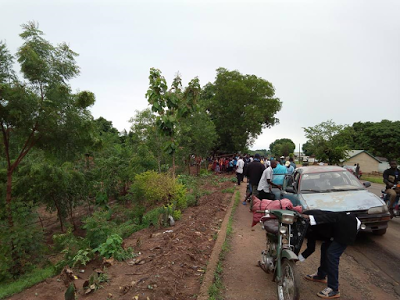 The sad incident happened in Gboko community in Benue state. 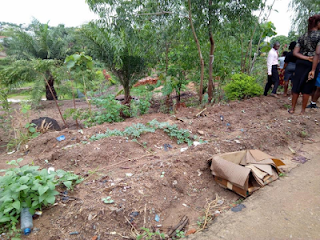 According to Apiah Ephraim who shared the sad story online, a woman abandoned a baby inside a gutter along Gyado Junction - Yandev express way in Gboko on Monday May 15th. There was a heavy downpour in the area that night that led to the child dying from exposure to the bad weather. 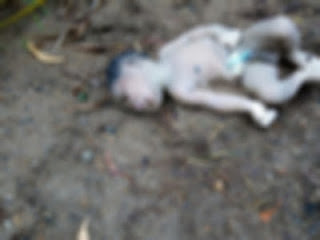 See graphic photos of the baby below..